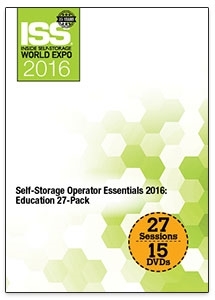 Get 27 education sessions that address important aspects of self-storage facility operation. This discount bundle offers insight to sales, service, marketing, technology, revenue management, staffing and more. For more detailed descriptions, please refer to each individual package product page by clicking on the linked title.